Celebrations of China's lunar New Year have been gaining global popularity, with more countries showing growing recognition of the high-profile festival of the world's most populous nation. One reason that has contributed to the stronger global appeal and spread of the event is the waves of emigration from China in recent decades. It is estimated that over 9 million Chinese people have moved abroad since the end of the 70s, many of whom are enjoying wealthier prospects. Chinese expatriates are leaving their footprints all across the world, with the dragon and lion dance-inspired celebrations being joined by growing numbers of people who are not of Chinese descent. Recently, key capitals and major cities in various continents tend to celebrate the most famous international festivity, featuring a variety of embodiments of the 12 animals of the Chinese zodiac. These include London, Madrid, New York, Manila, Melbourne and Hanoi. New York city, for its part, recognized the 2017 lunar New Year holiday - famously known as Spring Festival - as a school holiday for the first time in the city's cultural agenda. Aware of China's growing international political and economic influence, most foreign and world leaders have taken note of the occasion, as they do not fail to extend greetings and well-wishes to the Chinse people and leadership on the occasion, even if the wishes happen to come belated, as those of U.S. President Donald Trump for last year's holiday. However, with the growing economic clout of the world's second largest economy, comes a new reason for recognizing China's important event; which is making revenues from what has been termed as the Chinese "mass migration". This refers to a recent trend among Chinese, especially the wealthy youth, to flock abroad during the lunar New Year holiday and spend their billions U.S. dollar worth of budgets touring the world. The holiday travel is part of an increasing trend of leisure outbound travel among Chinese people after witnessing phenomenal economic growth. 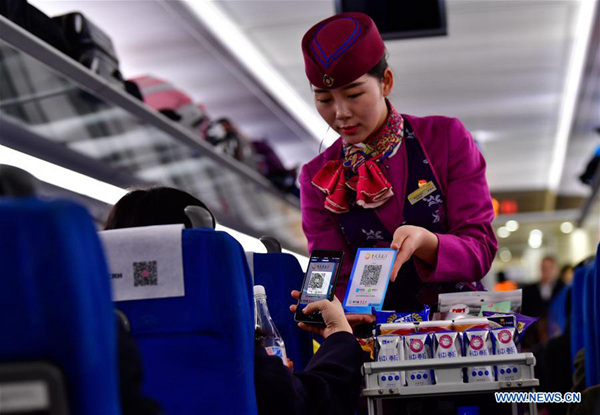 The China National Tourism Administration (CNTA) estimates that outbound travel has grown 270 percent since 2008, and is expected to reach 200 million departures by 2020. Likewise, Chinese outbound expenditure has grown 730 percent from 2008. Chinese youth, especially those working abroad, now prefer to fly their families over during the New Year holiday instead of going back home themselves, accordingly opting for more family-friendly full-service flights and residence accommodations to ensure that their parents and families are at ease during the whole journey. The bigger the number of Chinese overseas travelers is, the higher the revenue is for the host countries' travel, tourism and hospitality sectors. The week-long New Year holiday of 2017 was designated by CNTA as a global "Golden Week" for overseas tourist destinations since around 6.15 million Chinese nationals spent the holiday abroad. Outbound tourism for Chinese citizens has recently covered 153 countries/regions, including 65 visa-free. Currently, business makers in host countries, including airlines companies, hotel and accommodation service providers, restaurants and shopping brands, are in a heated race in the days leading up to and during the holiday to attract the wealthy and globe-tottering ambitious members of China's middle class and lure those big spenders to pour their money into their markets. As Chinese travelers show increasing adventure tendencies towards exploring new areas, regions like Latin America, Africa, and the Middle East are coming on board as growing popular destinations for Chinese New Year holidaymakers, witnessing over 60 percent growth in the 2017 New Year travel, according to the travel intelligence agency company ForwardKeys. Europe has recently rejoiced with a 56 percent increase in the number of bookings during the 2017 holiday, after the 7.4 percent drop in 2016 due to terrorist attacks. A survey conducted by the CNTA indicated that Britain, Spain, Germany and Switzerland are the most popular long-haul outbound destinations during the 2017 holiday, following the U.S. Among medium- or short-haul destinations, Australia, New Zealand and Thailand came first, while Southeast Asia and China's Hong Kong and Macao remain the major nearby destinations, according to the survey. Speaking at the World Bridge Tourism conference in London, Forward Keys' Chief Marketing Officer Laurens van den Oever said "bookings for outbound travel during Chinese New Year, in February 2018, are currently 40 percent ahead of where they were at the same time last year," with notable growth in Thailand, Vietnam, France, Singapore, Japan and Canada. While the international community is pleased to benefit from this big event as a major driver of global growth, they have to face the challenge of finding more ways to please their visitors, as China is already reshaping the international tourism industry. The international community has to find more ways to please their visitors, as China is already reshaping the international tourism industry.